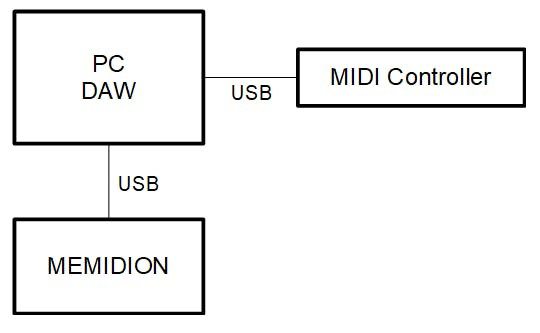 Control was done by Arduino which made it into a USB-MIDI device. 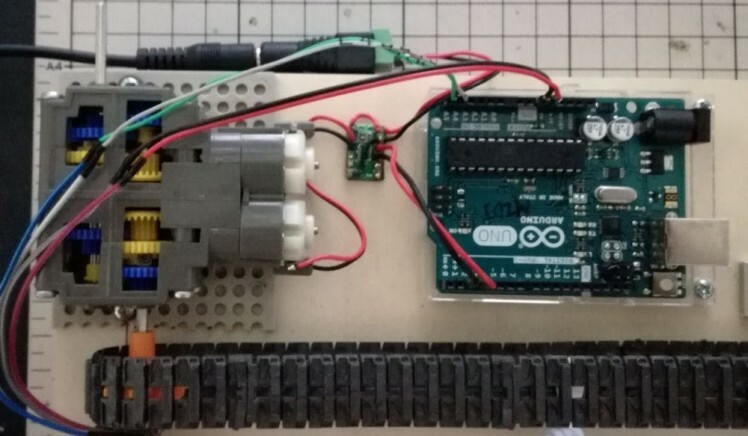 Motor (Caterpillar) control via motor driver DRV 8835 at Arduino. 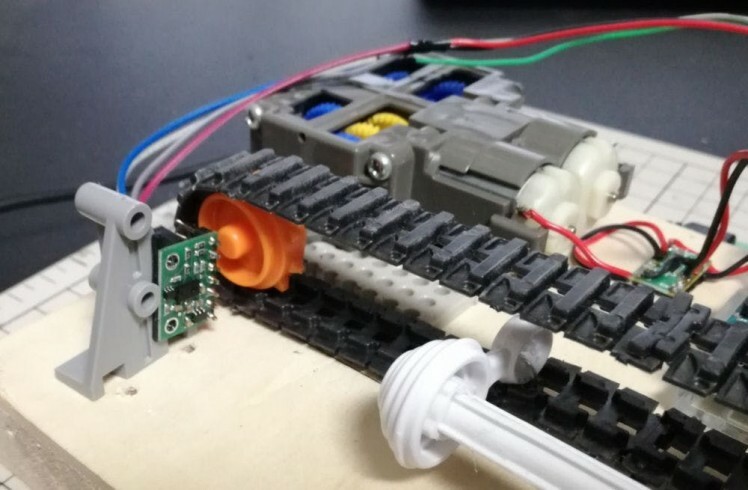 Measure the distance of the tip of the slider of the whistle with the distance sensor VL6180X to control the slide amount. Write Moco for LUFA firmware to Arduino and let Arduino recognize it as a MIDI device. the detail is right below. Anything is OK if DAW can output MIDI, but we will use Reason this time. 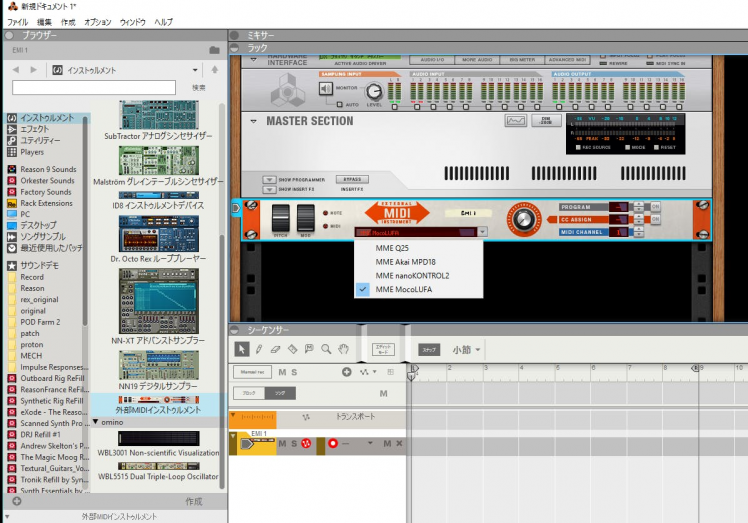 Place the external MIDI instrument and select "MocoLUFA" for the device. Move the slider of the whistle with the MIDI signal from the MIDI keyboard or DAW and change the scale. The slide amount is controlled by the measurement value of distance sensor VL6180X. I used the following as a MIDI library for Arduino. The library for distance sensor VL6180X is below. The amount of slide will change with the MIDI keyboard.